The squash world is mourning the passing of a brave young man whose battle against an aggressive form of childhood cancer captured the world’s attention. Sumner Malik died at the Royal Marsden Hospital today with his family surrounding him at his bedside after they had driven home from holiday in Spain through the night. He was just 12 years old. His brave battle against DIPG, which is deemed inoperable by the National Health Service, touched everyone in squash. Diffuse Intrinsic Pontine Glioma is a rare form of brain tumour. Only around 40 cases of DIPG are diagnosed each year in the UK and the illness has no confirmed cure and a non-existent survival rate. Sumner was the youngest triplet in a family of six children who all took up squash, Curtis, Perry, Torrie, and “triple trouble” Bailey, Heston and Sumner. Parents Camron and Suzan worked round the clock to keep the family operating as normally as possible while campaigning tirelessly to raise money to pay for Sumner’s ongoing treatment, keeping him as happy and healthy as possible and fully involved in everything that went on. What an amazing, inspirational family, who fought so hard to protect Sumner for almost two years after his initial diagnosis. Our thoughts are with them all. 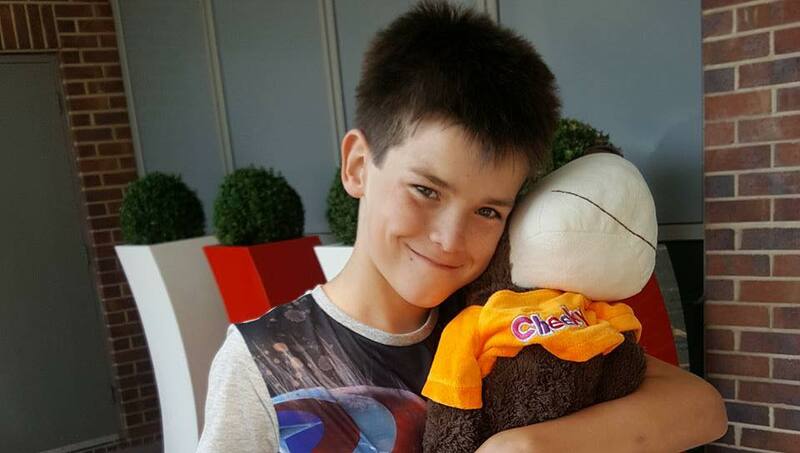 The daily posts on Facebook of Sumner’s brave resistance showed an astonishing network of family, friends and sometimes total strangers, touched by his never-ending smile and brave resistance to such an awful disease, all pitching in to help. At the Canary Wharf Classic last year, three-times world champion Nick Matthew donated his entire prize money to help the Maliks pay for treatment. Nick had gone on court with Sumner during the previous British Junior Open in Sheffield. The World Squash Day auction, organised on Facebook and Twitter by Squash Mad columnist James Roberts, saw a huge number of professionals donating items to raise funds. The PSA chipped in to give Sumner the trip of a lifetime when they flew him and his family out to Egypt in November 2016 to watch the PSA Men’s World Championship. He attended the tournament as a VIP guest and stayed in the same hotel as the players. 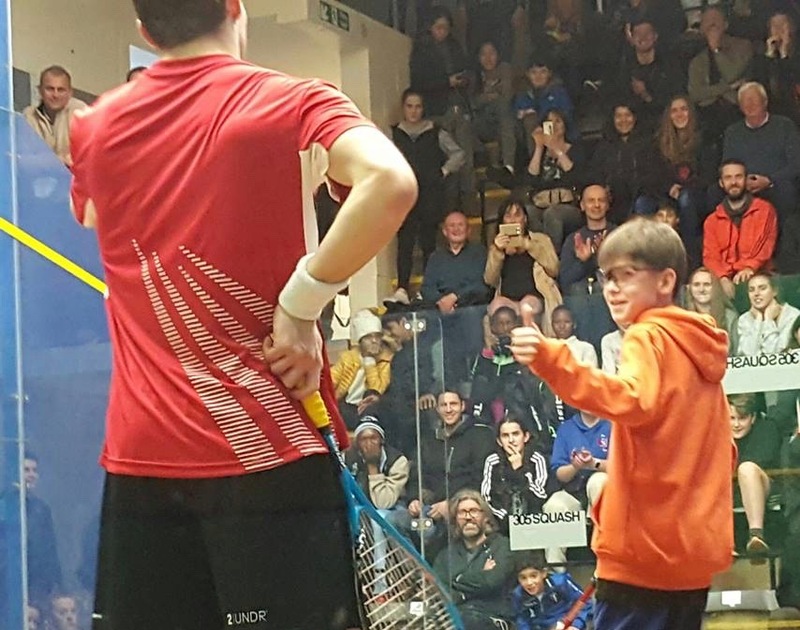 Sumner and his five siblings met many of the world’s top stars and Sumner also joined SquashTV commentators Joey Barrington and Paul Johnson for the Ramy Ashour v Fares Dessouky match, showing what a bright young man he was with some accurate descriptions of play and witty remarks. The Maliks also visited the Great Pyramid of Giza, while their trip was rounded off by seeing Karim Abdel Gawad crowned world champion after beating Ramy Ashour. Sumner fought with courage, strength and an amazing amount of grace as he and his family sought and tried many things to try and save his life. They fought together as a family and Sumner went through it all with a smile on his face. He didn’t complain about the cruel cards he was dealt. He taught us all to stand up and face our fears, to never give up and to be kind and compassionate to the others you meet on your journey. He touched all our hearts and we will never forget him. Please keep his family and all who love him in your thoughts and prayers. What a brave Talented and courageous young man. Very sad news to hear, thoughts with your family friends and all your Squash fans throughout the world. R.I.P Champ. I have never had the opportunity to meet Sumner. But his story has moved me and the rest of the world so tremendously. Seeing a young boy deal with such a challenging situation with such positivity has amazed me so much, I cannot describe it. I have learnt a lot from Sumner and his family, and I am deeply honoured to have played a part in helping them. Rest in peace my young friend. You may have left us, but the legacy you have left behind, you have no idea how big it is. Stay strong Camron, Suzan and kiddos. Much love from Malaysia!